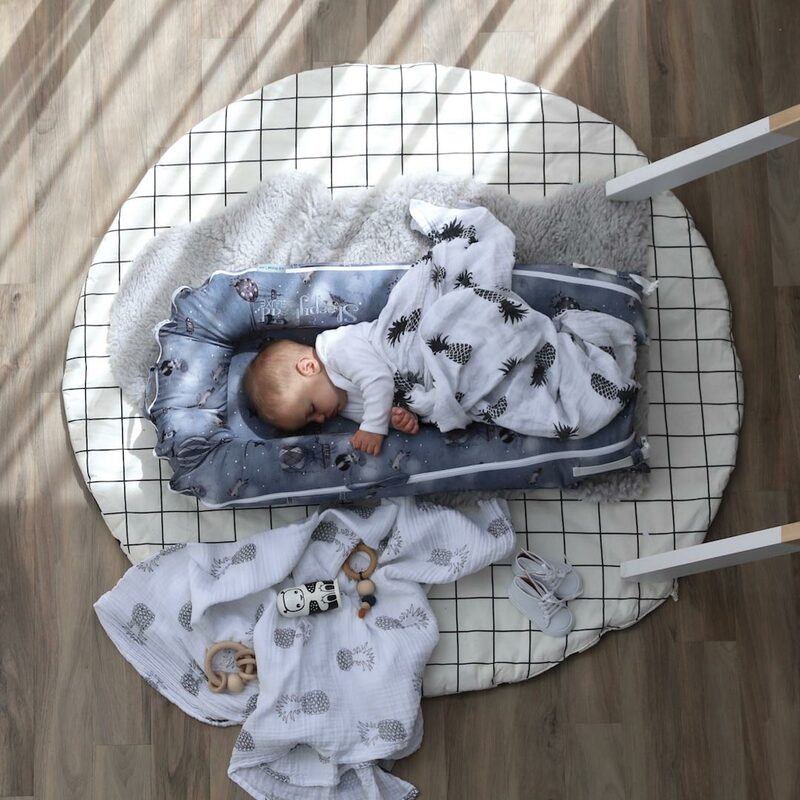 The original Sleepyhead Night Night Deluxe Pod is the ultimate safe, snug and soothing environment for your baby from birth to 8 months old. 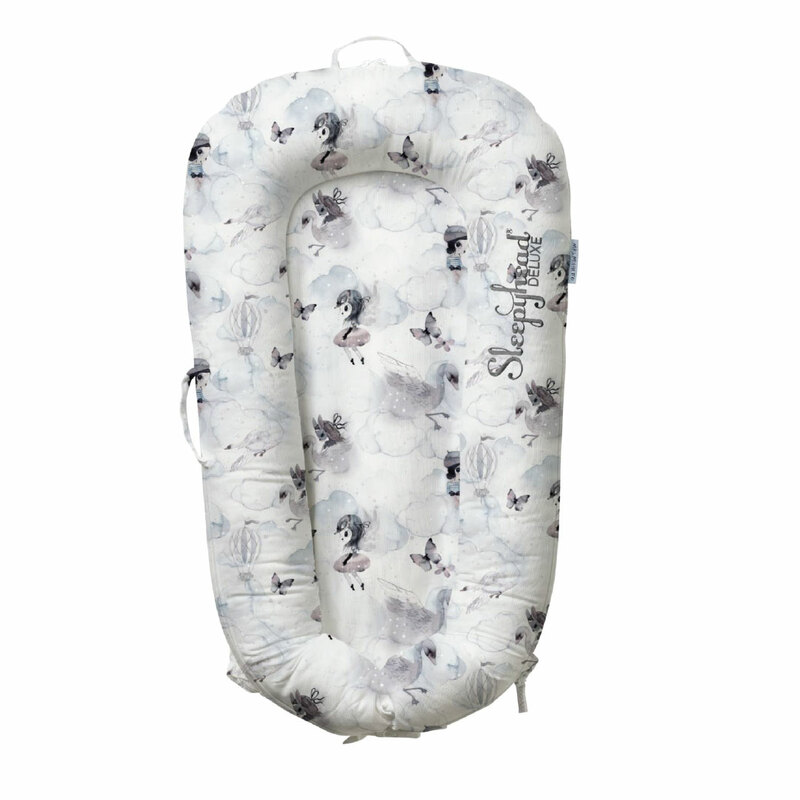 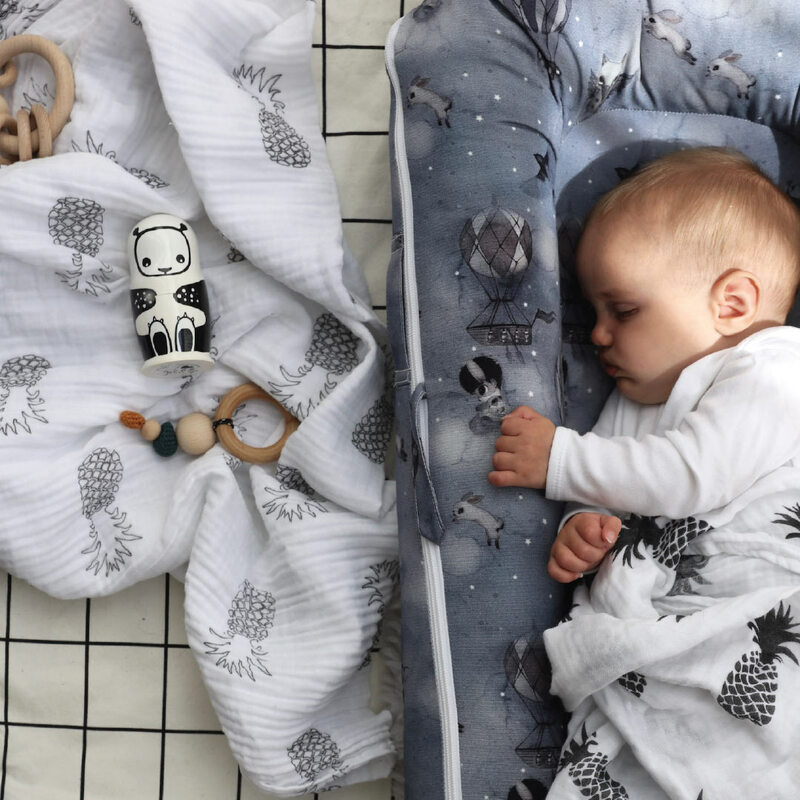 The original Sleepyhead Night Night Deluxe Pod is the ultimate safe, snug and soothing environment for your baby. 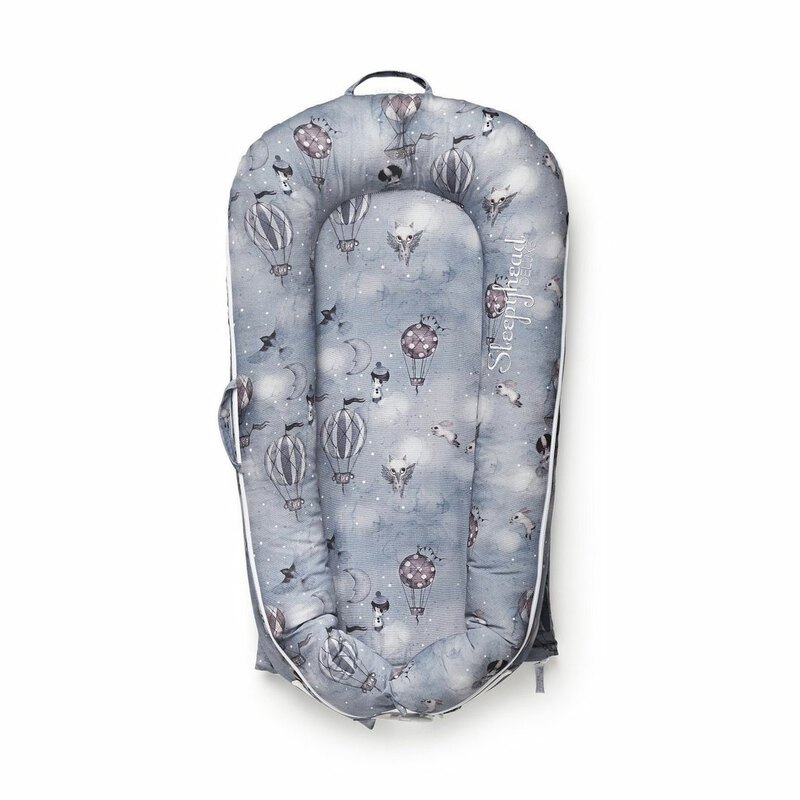 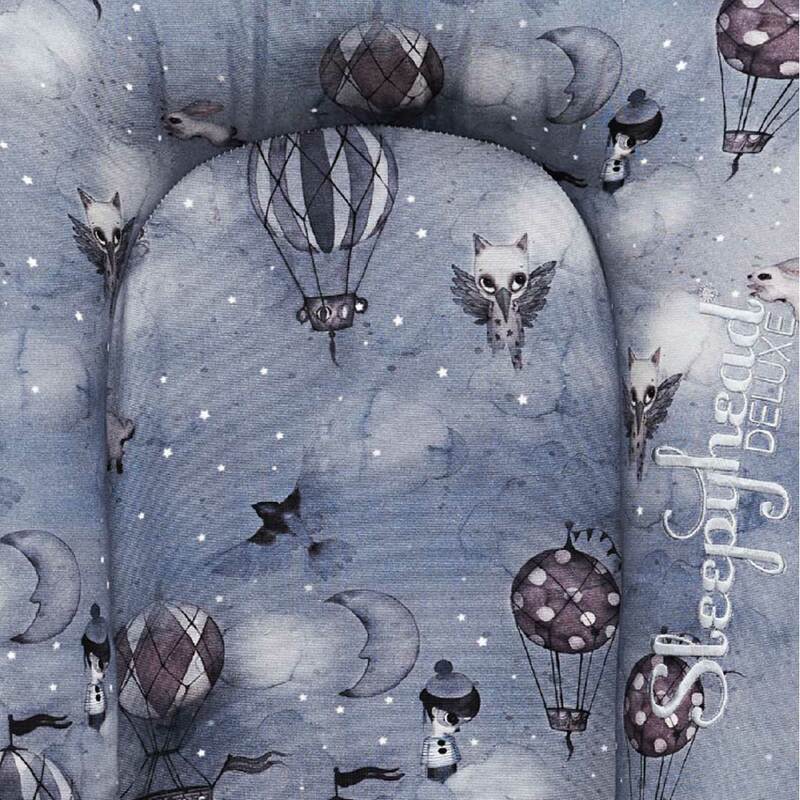 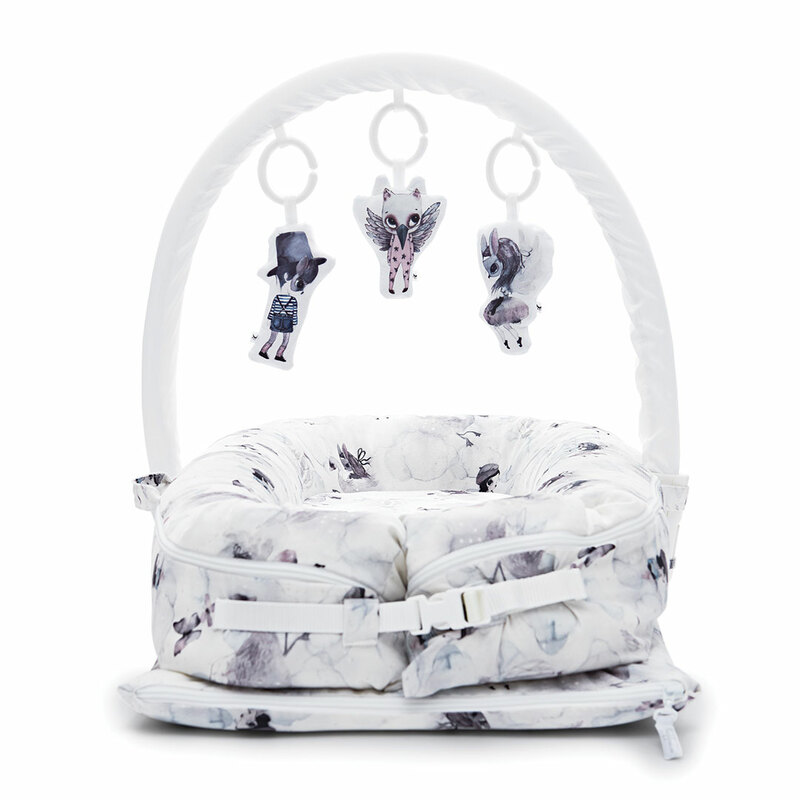 The Night Night Deluxe Pod is from the Mrs Mighetto Collection and features a soft blue-grey background with dreamy images of hot air balloons, clouds, moons, owls, bunnies and cute little guys. 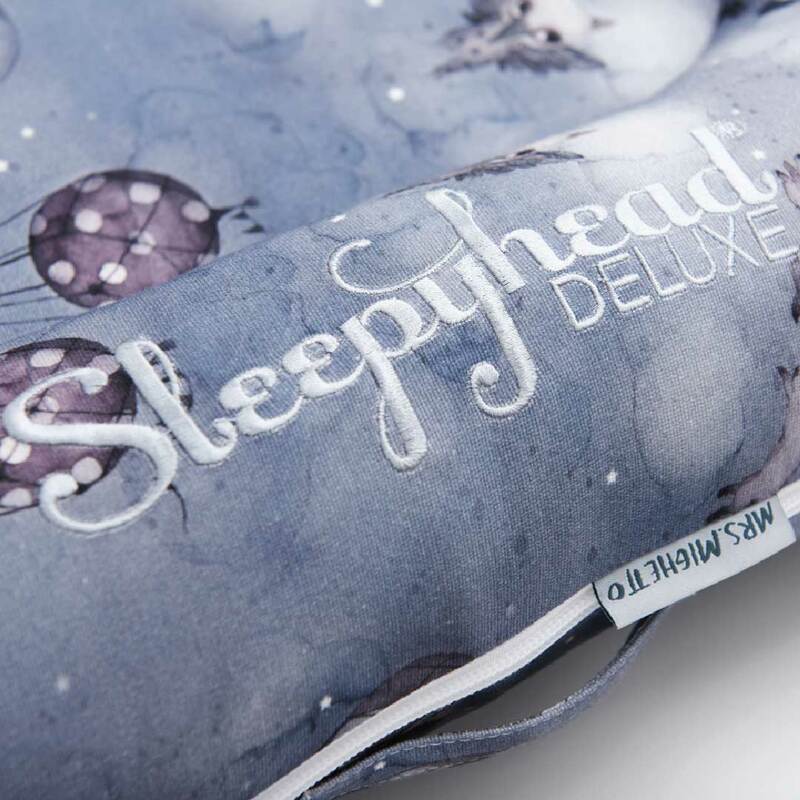 Nestled high up in the clouds is a hidden world you probably never even knew existed. 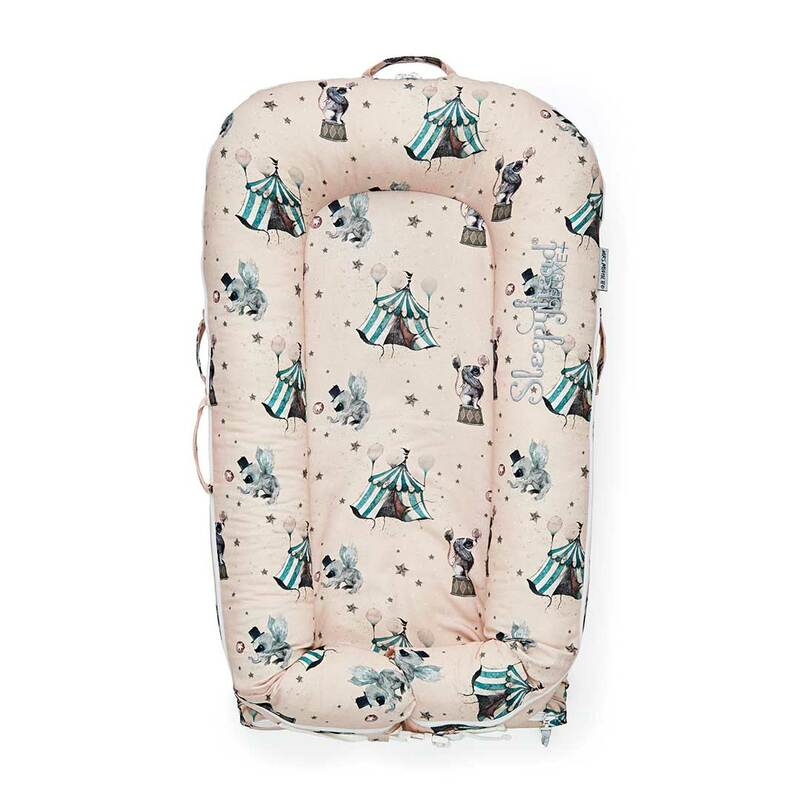 Powder pink kites dance through the warm air, enchanted tunnels with changing architecture, rainbows appearing suddenly to create lavish light shows. 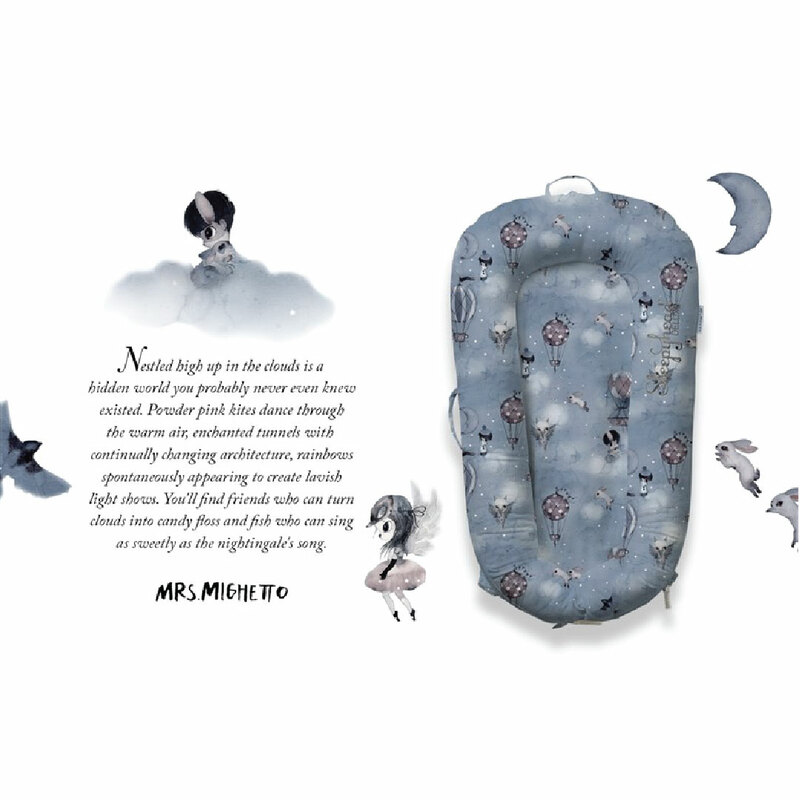 You’ll find friends who can turn clouds into candy floss and fish who can sing as sweetly as the nightingale’s song.